I was beyond excited when my friend Dena brought over some goodies from her Mom's garden. I knew we had to make some fried green tomatoes when I saw the green tomatoes in the bag! Yum!! 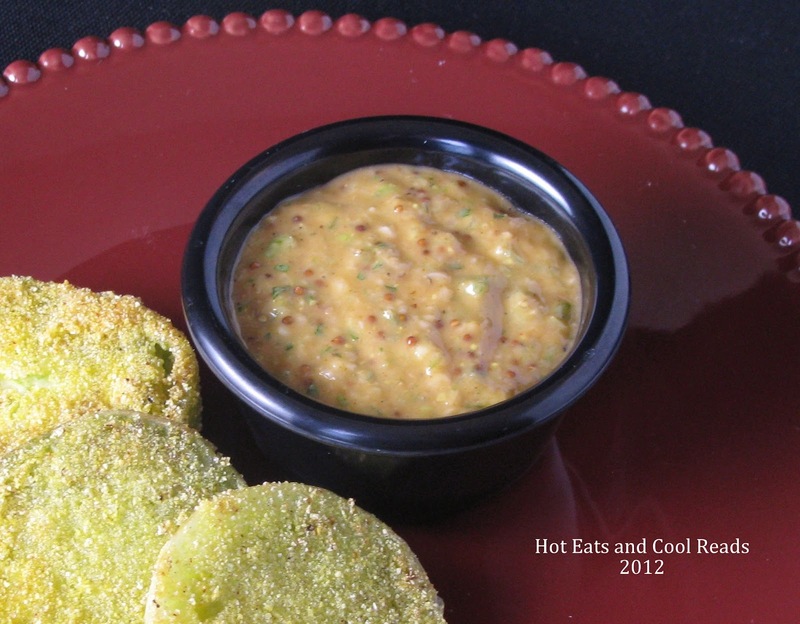 Fried green tomatoes are super easy to make as well as the remoulade sauce. They pair well together and the flavors are so good!! These recipes are the perfect addition to any Southern Cajun meal! Enjoy!! Heat oil in a large skillet over medium high heat. Season tomato slices with salt, pepper and creole seasoning. Coat tomatoes in cornmeal and fry in hot grease about 3 minutes on each side or until golden brown. Place all ingredients in a food processor and process until fairly smooth. Store in an airtight container and refrigerate for at least 1 hour prior to serving. 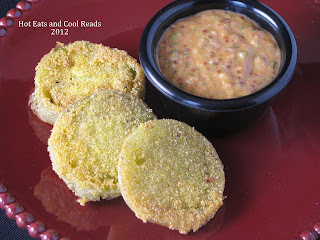 I've never tried fried green tomatoes, these look great, think i might have to! You will like them! It's a very interesting flavor! Fried green tomatoes? Never tried them. Saw the movie a few years ago. Nevertheless, they look good. Your welcome!! The sauce is so good!! I love fried green tomatoes and I order them whenever I go to a restaurant that has them on the menu, but I've never made them. Maybe I'll give your recipe a try. Thanks! Yum! I can't wait to try the remoulade sauce too! 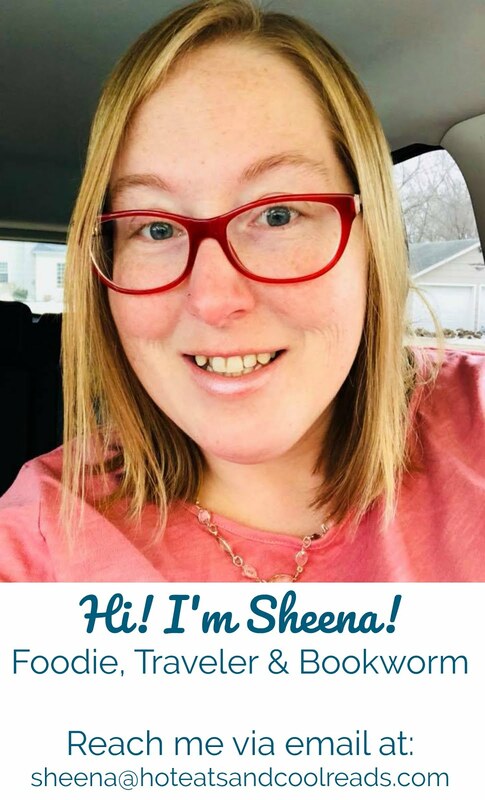 Thank you for sharing at All my Bloggy Friends this week! This is a summertime favorite that we just love and your Remoulade Sauce looks delicious, it will make those Green Tomatoes just melt in your mouth. Hope you are having a great week and thank you so much for sharing with Full Plate Thursday. Thanks so much Miz helen!! Everything you make looks so delicious - and this is no exception! Bummer! Those darn slugs! We had grasshoppers eating our tomatoes! Hope you get to try it soon!